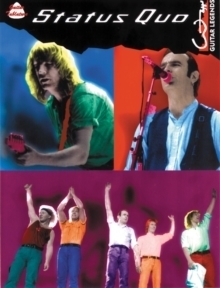 Status Quo (GTAB) contains a selection of the best songs from Status Quo - all of which have become classic hits influencing many current bands and artists including Rockin' All Over The World, Whatever You Want and In The Army Now. Each song comes with facts about the music, including other musical influences and political and social events of the time. Arranged for guitar tabulature and vocal with chord boxes and full lyrics.